As “Big Data” and analytics facilitate the finance team’s transition from cost-centre to strategic business partner, new opportunities are opening up for individuals willing to acquire the necessary skills. Why is this in focus now? In recent years, new technologies and lower computing costs have made it possible for businesses to derive greater value from their information assets than ever before. At the same time, an exponential increase in external data sources and processing power allows businesses to generate insights and develop new opportunities in many sectors. And it’s not just the volume of data that is increasing, the speed at which new data sources emerge is also accelerating. However, while there is growing awareness of the possibilities that data affords, the challenge for businesses is to avoid irrelevant information and find cost-effective ways to both uncover what is valuable in their internal data assets and discover what is useful in external sources. Why does the finance team manage big data? Traditionally, much of the information that organisations relied on fell within the remit of the finance function. For accounting and control reasons, finance evolved into a natural custodian of information on the organisation’s operations, including interactions with external stakeholders and regulators. Notwithstanding its important role, the finance function tended to be regarded as a cost-centre rather than a value-generator; however, that now appears to be changing. Research by the Association of International Certified Professional Accountants suggests that new technologies are triggering a shift in focus towards greater emphasis on value creation. In a new report, based on insights from a study of more than 5,500 finance professionals across 2,000 organizations in 150 countries, AICPA found that a majority of finance leaders globally believe the competencies of their teams must “change significantly” over the next three years as new technologies take over traditional tasks. Furthermore, AICPA says businesses expect the automation of repetitive tasks to create a stronger focus on value creation, with expertise in areas such as data analytics, cyber risk management and business models facilitating the shift. Given the finance function’s central role as custodian of financial information, it is perhaps not surprising that when organisations are deciding who to put in charge of obtaining and analysing relevant ‘Big Data’ for strategic purposes, finance is often the first port of call. However, a challenge teams face is that it’s not just a matter of evaluating and introducing new external data sources, internal data issues also have to be addressed. 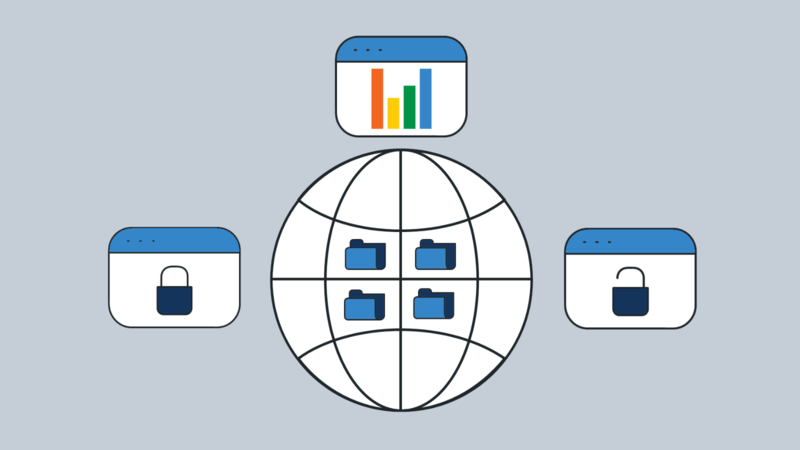 Typically, teams have considerable internal data resources at their disposal but this is often dispersed across multiple systems, which may be misaligned and/or rely on outdated legacy technologies. How can finance teams overcome the challenges of working with big data? In a McKinsey & Co interview, Ash Gupta, chief risk officer, American Express, explained how his organisation tackled internal data issues. The challenges that Gupta describes will be recognised by many finance and treasury teams. One technical approach that can offer an easy, cost-effective solution when sharing data between systems is Application Programming Interfaces (API). APIs allow subsets of data to be shared in a standardised way, rapidly and securely between different systems. Typical benefits include eliminating human error while streamlining and speeding up data transfers and replacing batch processing with real-time information. How does automation help big data analytics? The automation of traditional tasks like budgeting, forecasting and performance monitoring, combined with improved access to internal data and the ability to leverage data feeds from external sources, is freeing finance and treasury teams to focus on more strategic, value-adding activities such as identifying new business opportunities, prioritising areas for investment and enhancing risk management. At a practical level, when appropriately implemented, the ability of automated processes to rapidly spot deviations from regular patterns, such as unusual payments, or to view data from different sources (e.g accounting, treasury, sales, historical transactions, forecasts) through a single lens, enhances the capabilities of finance and treasury teams, not just in financial control but widely across the organisation. How are emerging technologies empowering big data? Technological advances, such as artificial intelligence and machine learning, which consolidate and analyse large volumes of data in real-time, enhance the capability to quickly investigate suspicious activity and improve the accuracy of determinations. Add in relevant Big Data such as economic forecasts, news feeds or social media activity, and the insights that can be uncovered go even further—e.g. capturing market signals or highlighting information that can be used to optimise cash flow, inform currency decisions, enhance scenario planning and improve risk management. How is big data changing finance? With growing awareness of data’s potential to add value, new roles are being created on finance teams for developers and data analysts whose responsibilities range from creating data models and algorithms, to identifying trends and developing charts and visual presentations. These new positions help to bridge the business analytics skills gap and enhance the finance and treasury function. Technical skills for these roles include data mining and extraction, statistical modelling and data analysis with various tools deployed to assist in these tasks (e.g. SQL, Python, R, data visualisation tools). A Deloitte study cites the example of a $1 billion food manufacturer whose finance team led a spend-analytics initiative that created supply-chain efficiency and reduced costs by improving the management of supply-chain sourcing. What’s next for big data in finance? Looking to the future, the previous example signposts the sorts of opportunity that analytics can create for finance teams to transition to a more strategic role. AICPA’s recent research indicates that this shift is already happening, as finance teams transform to become truly value-adding business partners. As a dedicated cash flow forecasting software provider, CashAnalytics helps our clients to use all sources of internal and external data to improve their cash forecasting processes. By using APIs to instantly extract data from all sources, and data visualisation tools to model that data, CashAnalytics enables our clients to perform high-value analysis on all of their internal and external cash forecasting data.